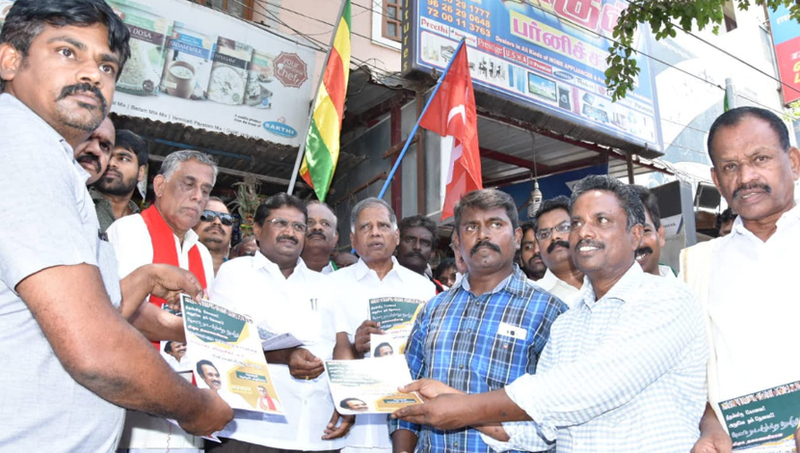 Coimbatore : CPI (M) Politburo member G Ramakrishnan today welcomed the High Court order on Chennai-Salem eight lane project. Talking to reporters here, Ramakrishnan said that the proposed project was really a threat to the livelihood of lakhs of farmers in the belt. The struggle against the project by the farming community and various political parties bore fruit, he said, welcoming the judgment.